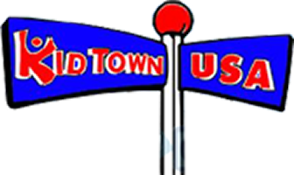 Playtime is important, so that's why Kid Town USA in Clinton Township, Michigan, offers free time for children to run around and have fun. Whether it's crawling under a big parachute indoors or swinging on the swings outside, playtime allows kids to enjoy some physical activity while still learning and having fun. Because weather sometimes won't allow us to be outside, Kid Town USA has what we call our "Town Hall". Your child still requires active time during the day, and Town Hall is just the place for that. Town Hall also serves as our preschool Graduation Room where parents proudly watch their children walk down the aisle in cap and gown to accept their diplomas. The exterior play area at Kid Town USA is completely fenced. Latches are designed to make opening by children extremely difficult. Outdoor play is always supervised by staff members. We have two outside play areas designated for use by age. One for the toddlers and one for preschoolers. We are required by the State of Michigan to provide outdoor play unless the temperature is at least 20 degrees and the wind chill is 17 degrees.